In some cases, perfecting a person’s smile means much more than revamping its appearance. For situations where oral health has declined, bite isn’t functional, or trauma has occurred, a full mouth rehabilitation may be the best treatment cosmetic dentistry in Minneapolis has to offer. Full mouth rehabilitation is the process of renewing your smile back to full health, function, and beauty. 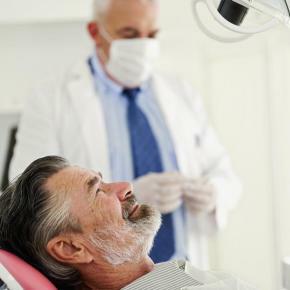 Through a thorough exam and consultation, one of our dentists will customize a treatment plan just for you. It may take few or many cosmetic dental treatments to restore your mouth back to its ideal state, depending on the extent of dental maladies. What’s certain, is that the end result of a full mouth rehabilitation leaves your smile as functionally beautiful as possible. For many, a full mouth rehabilitation process is a life-changing experience. To view the work of Drs. Horn and Loween, we encourage you to visit our website showcase. To schedule your consultation with one of our qualified dentists, contact our office today. You’ll be amazed by what cosmetic dentistry in Minneapolis can do for you!